Note to self, never fly with Spirit Airline ever again! Coming back home, we flew with Spirit Airlines. Oh my gosh, that was the most uncomfortable flight we have ever been. The seats are too small, you can't recline it, and it was just a pure discomfort. The check out at the hotel we stayed at was 11 in the morning but our flight wasn't until 10 in the evening. We thought of exploring the city before we go to the airport but even with an air conditioned car, the heat was unbearable so we decided to go to the airport after an hour of driving around. At least in the airport, it was cool and comfortable. Anyway, I would like to give a shutout to those custodian people for keeping the airport clean. They were my first subject in taking photos while we were waiting. Imagine the long hours of our wait, it was like forever. I wished I had a book with me to read. The kids had their iPods so they get to play their games while waiting. Waiting is a hard thing to do but if you can find something that you enjoy doing, the time flies. I just busied myself taking photos of things that sparked my interests. Most of the times, when we fly, we are always in a hurry so we don't really get to enjoy what's surrounds the airport. This time I had plenty of time so pardon for the many photos in this post. I just want to share it with you. I thought that we would get bored to death while waiting for our flight but we found things to do. We alternated in walking around the airport. My daughter and I teamed up and my husband and son have also teamed up in walking around. There were old stuff displayed all around the airport so we took some time to read them and know about airlines history. This little lady had so much energy so I just captured whatever she's doing. This was my first time flying in the evening so I didn't know how busy the airport can be even at the late hours. I guess people just comes and go in Vegas. There were slot machines in the airport which I find interesting. I guess you can only find them in Vegas lol. Children are not allowed in the vicinity which I find ridiculous because when you have kids, chances are they want to run around there. We were supposed to board around 10:30 but it was past 11 p,m when we started. I was like in there forever. I am so glad that we didn't have kids who get irritated while waiting. Our flight coming back was straight from Vegas to Pittsburgh so it was long. It was the most uncomfortable flight I have ever did. Never again will I fly with Spirit Airline. I had a body ache when we got home due to that flight, whew. Now I know why they offer low fares. I would rather spend a little more money to fly from other airlines for comfort reason. My husband was apprehensive in flying thru United Air because of a bad experience in the his previous travels but it turned out to be the good experience for us. Why was it uncomfortable? Because the seats were cramped? I always say that you get what you pay for and that is good to know about Spirit. I have never flown them because we always do Jetblue. This is one airline we have never flown. After reading your experience we will try and stay away from them as much as possible. It seems that seats are getting smaller and smaller. At least you got some good pics at the airport and your children were able to entertain themselves with their games. I'm sorry you didn't have a great experience on your flight. It is sometimes tricky to know which airline to fly with. There are so many different experiences on the different airlines. Oh gosh it sounds like you had a bit of a nightmare flight with Spirit, what a shame it was so uncomfortable for you. From what I understand this is doing is definitely not the best airline. I actually have avoided them because of all the negative I have heard. I'm sorry your experience was so bad but I hope the vacation was at least fun. That is great you were able to deal with the long wait time for your flight. My kids are still little and that long of a wait would have been horrible to deal with! I am always fascinated by how busy airports are, no matter the time of day. I am glad you found ways to help time pass while you waited. Airports have a lot of interesting things to see and do. It's also good that your children are patient! Overall, I hope your trip was wonderful. I have never flown with Spirit but I guess if the seats were a little cramped, that isn't too bad for a short flight. I would never fly any "lower" than Southwest, but at least you made the best of a crappy situation. Oh yikes! At least you tried it and can cross it off of your list of acceptable airlines. Uncomfortable flights are the worst. I would only fly short flights with Spirit for sure unless I wanted to pay extra for the big seats up front. 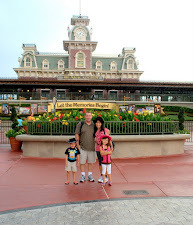 We flew with them to Florida and it wasn't too bad because the flight was less than 3 hrs. I wouldn't want to go any further than that though. Liked your frank and candid review of Spirit Airlines. This is so useful for travelers to get an accurate opinion. And yes hanging around in airports can weigh heavily, but I can see you guys made the most of it. We have never flown with Spirit Airlines before but my family will try to steer clear from them. But I'm glad you had a great time exploring the airport to pass the time. I am sorry you had to go through that experience. 12 hours at the airport is no fun at all. Well, for me it won't be. I am glad though that your kids were very well behaved and patient to have to wait that long. I don't think I have ever flown spirit before. I usually fly Delta because that is where our sky miles are. I have never flown with Spirit Airlines, and I've heard they had good fares. I'm a huge fan out of Southwest out of Buffalo. Yes, I understand your pain! I've flown with them once and never again! I had so much terberlance on my trip I thought I was going to vomit.